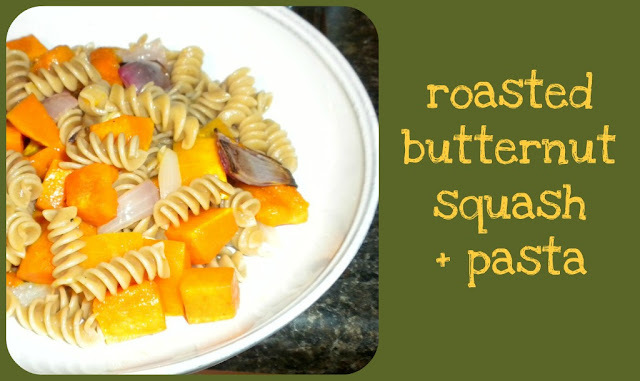 Here's my take on roasted butternut squash and pasta ((my first recipe with similar ingredients))...it couldn't be easier, but it's full of flavor! When both pasta and squash/onion are cooked, combine after draining pasta. 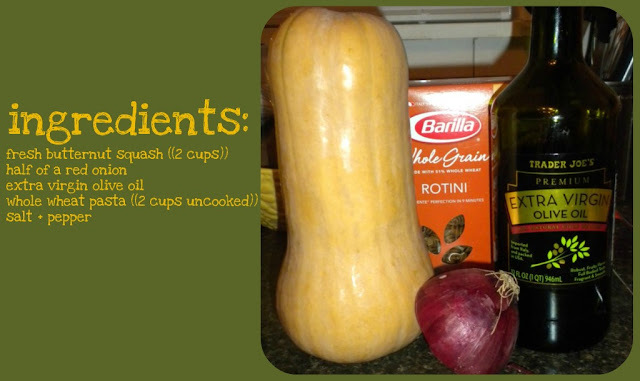 Do you have a favorite winter squash recipe? I'm linking up with Heather and Megan.